Founded in Northern California, Coyuchi is a natural & organic home textile company with the greater good in mind. 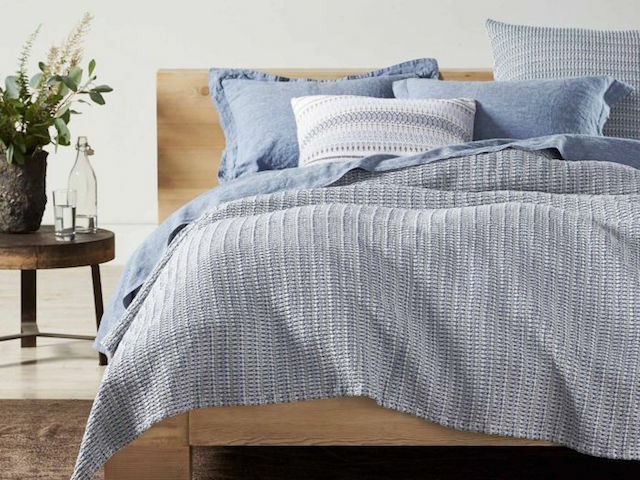 Mission-driven, the company is committed to creating thoughtfully designed, quality bedding, bath and loungewear that are friendly to both people and planet. Inspired by nature and the raw beauty of the California coastline, Coyuchi designs reflect the simple, relaxed elegance found wherever water meets the land. Minimally processed fibers and responsible production practices are used to ensure everything created reflects the Company’s core ideals: sustainability, organic & natural fibers and a truly human commitment to the hands that touch each product.